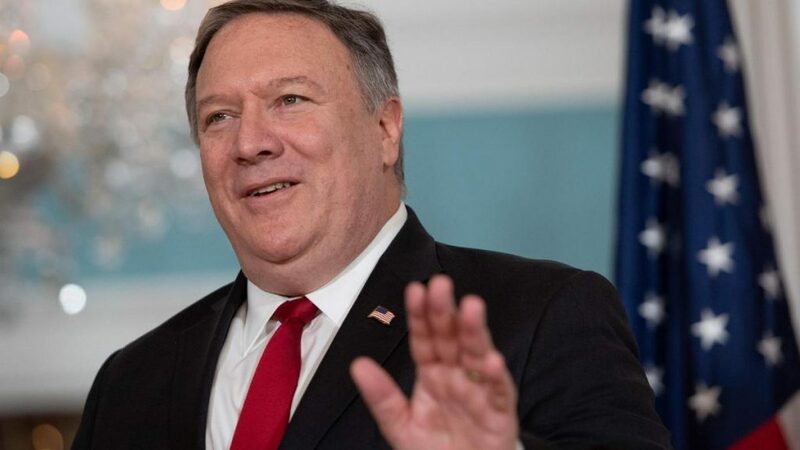 Washington: US Secretary of State Mike Pompeo has said the United States was serious about pursuing peace in Afghanistan as efforts are underway to revive direct talks between Taliban and Afghan government to end the ongoing violence in Afghanistan. “The US is serious about pursuing peace, preventing Afghanistan from continuing to be a space for international terrorism & bringing forces home,” Pompeo said in a statement posted in his Twitter account. He said: “Working with the Afghan government and all interested parties, the US seeks to strengthen Afghan sovereignty, independence & prosperity.” The US Special Representative for Afghanistan Reconciliation Ambassador Khalilzad had earlier said that significant progress has been made on vital issues during the 6-day talks with Taliban political leaders in Qatar. “After six days in Doha, I’m headed to Afghanistan for consultations. Meetings here were more productive than they have been in the past. We made significant progress on vital issues,” Khalilzad said in a Twitter post. However, he said a number of issues are still left to work out, emphasizing that he will build on the momentum and resume talks shortly. Ambassador Khalilzad also added that “Nothing is agreed until everything is agreed, and “everything” must include an intra-Afghan dialogue and comprehensive ceasefire.” “Meetings here were more productive than they have been in the past. We have made significant progress on vital issues,” Khalilzad said in a tweet. “We have a number of issues left to work out,” he said, while adding that “nothing is agreed until everything is agreed, and ‘everything’ must include an intra-Afghan dialogue and comprehensive ceasefire. Taliban spokesman Zabihullah Mujahid said that while there was “progress” at the meetings, reports of an agreement on a ceasefire and talks with Kabul “are not true.” “Since issues are of critical nature and need comprehensive discussions, therefore it was decided that talks about unresolved matters will resume in similar future meetings,” Mujahid said. Mullah Abdul Ghani Baradar, the new head of Taliban’s Qatar office and the third deputy head of Mullah Haibatullah Akhundzada, the leader of the group, will join his fellow Taliban members as part of the current talks team, sources from inside the Taliban said. Mullah Baradar was appointed as new head of Qatar office and deputy head of Akhundzada on January 24. In addition to Akhundzada, Taliban’s leadership team has also changed the heads of 13 military and non-military commissions of the group. The new changes in the group’s management body have been made for the sake of strengthening Taliban’s political team leading the talks with the US, sources from inside Taliban added.